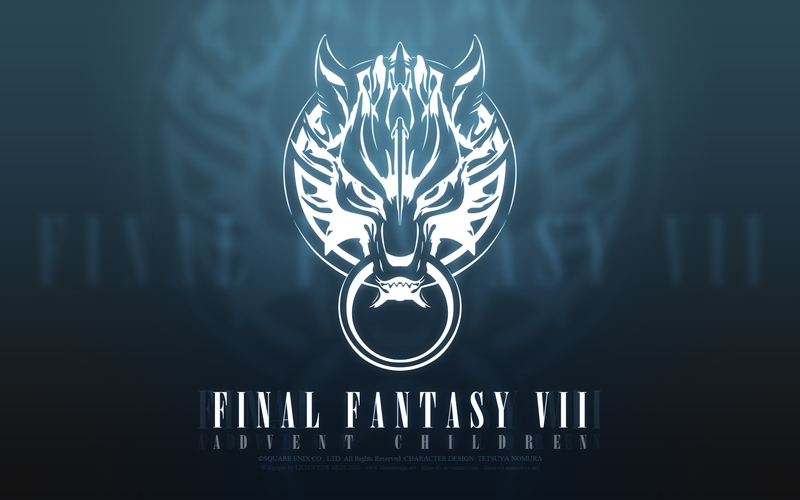 Final Fantasy VII Advent Children Wallpaper, with Fenrir logo. I remade the Fenrir logo in Illustrator CS3 and created the wallpaper with Photoshop CS3! woah! this really cool. i love this. I have been looking for this kind of wall and now i found one . I do like this symbol : thanks a lot of! One of the cooooooolest anime! Confusing if u dnt know it well but coooooool. Ah... Love the logo. Well done. love that wallpaper! Thanks lots!